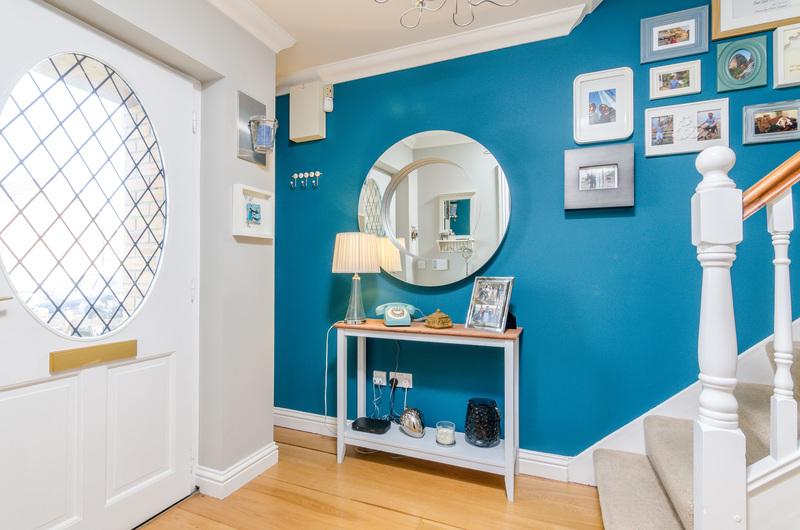 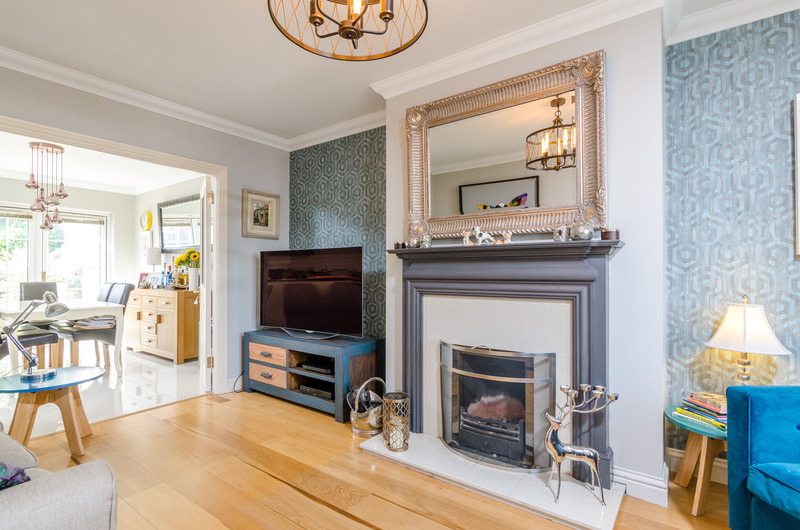 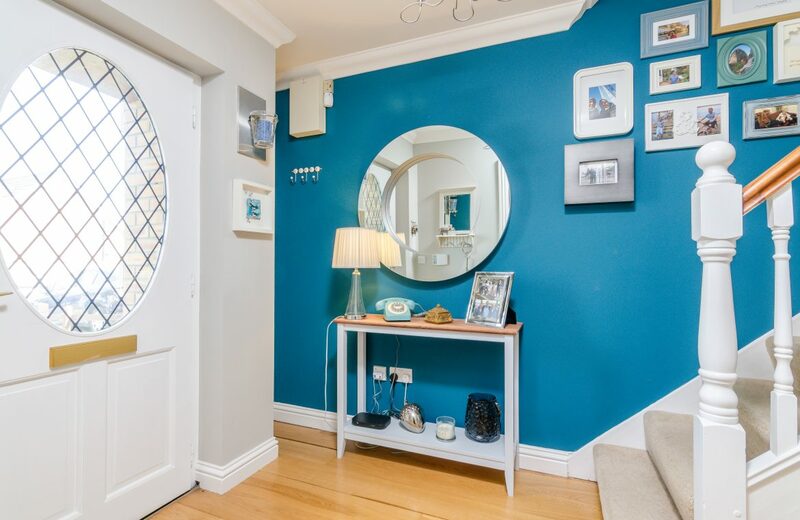 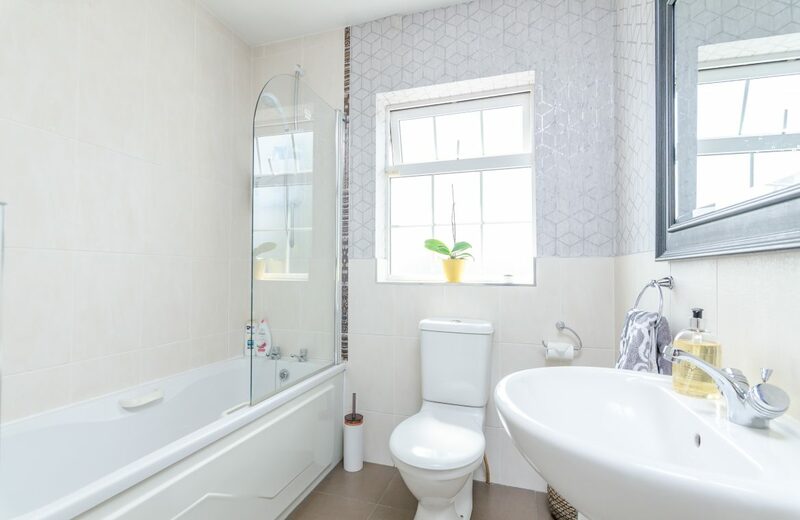 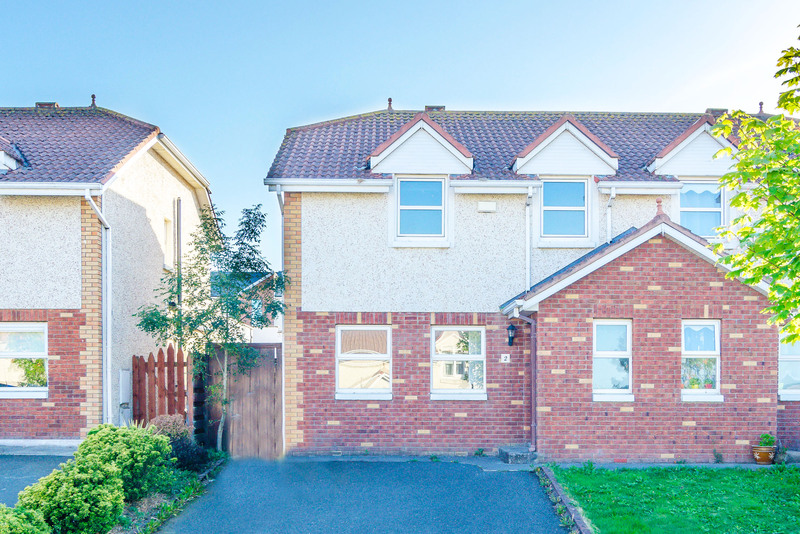 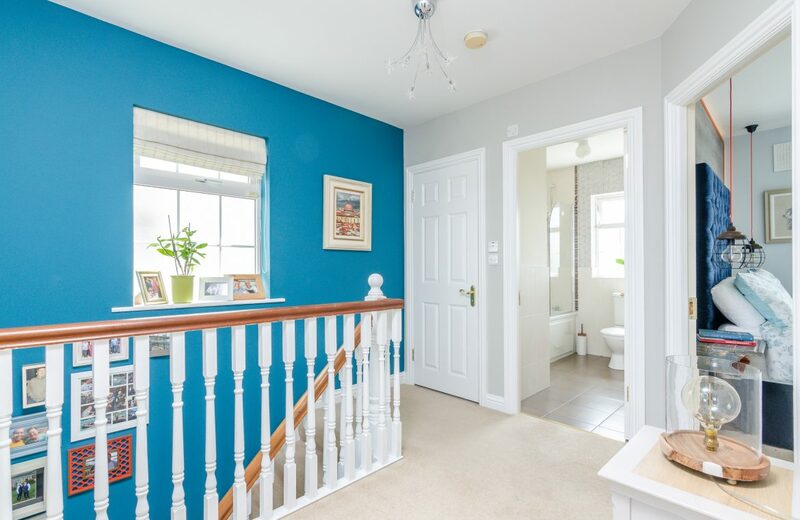 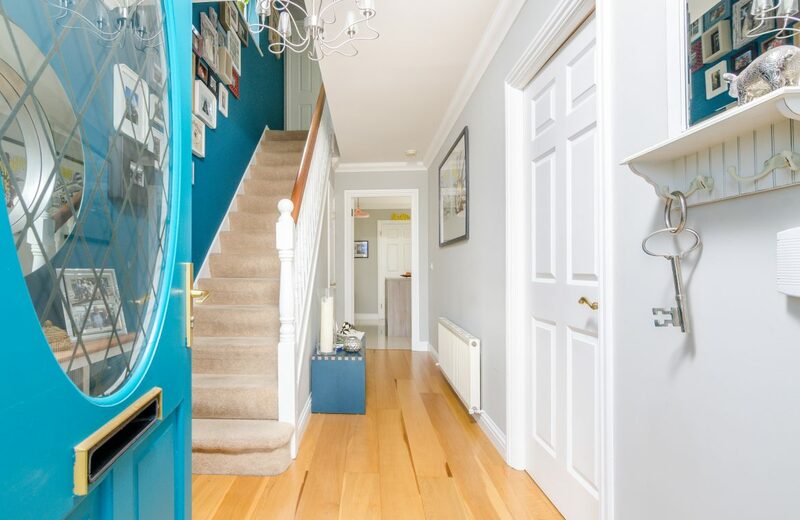 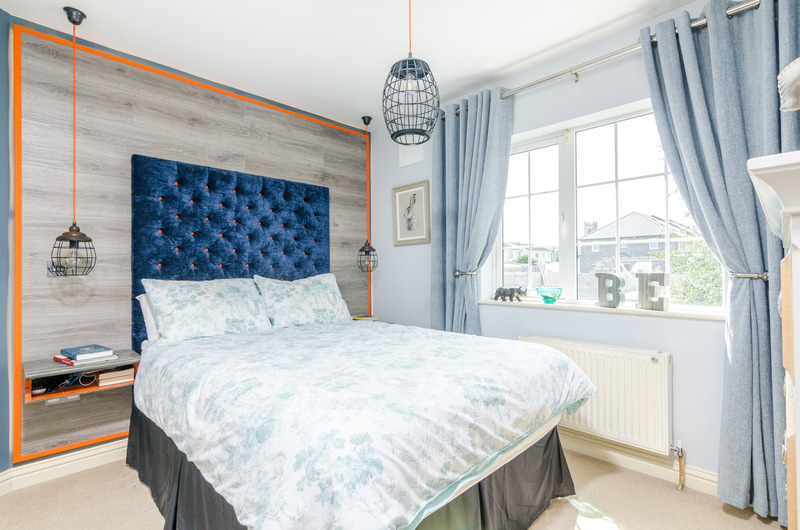 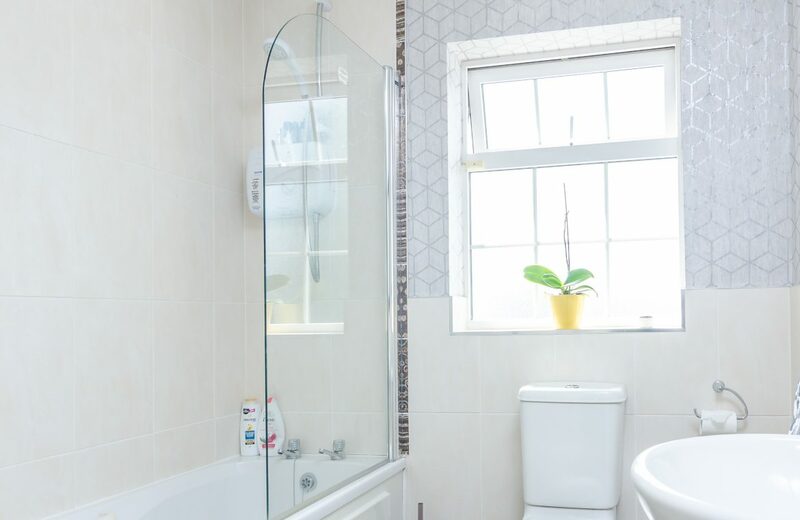 KELLY ESTATES & LETTING AGENTS are delighted to offer this STUNNING three bedroom, three bathroom family home, that comes to the market in EXCELLENT CONDITION THROUGHOUT. 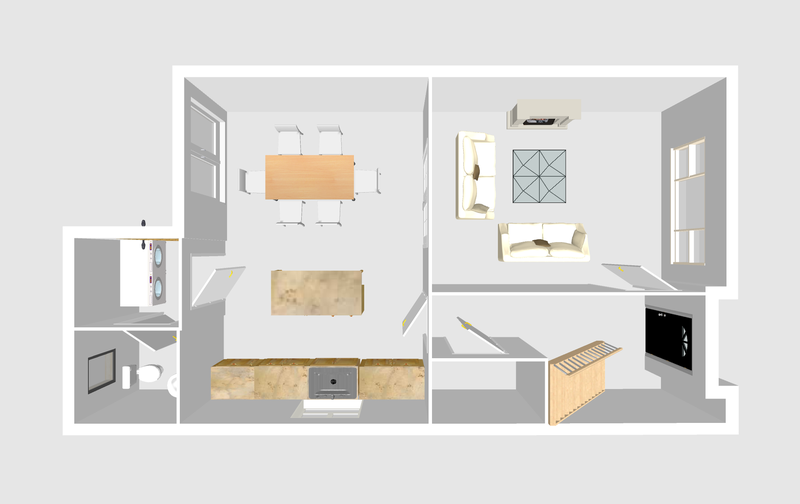 The accommodation comprises of a large hall leading to the living room, guest w,c. 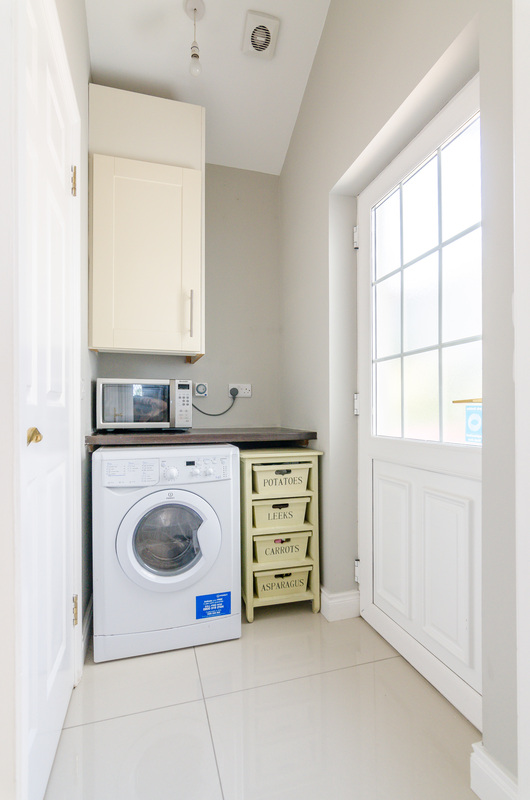 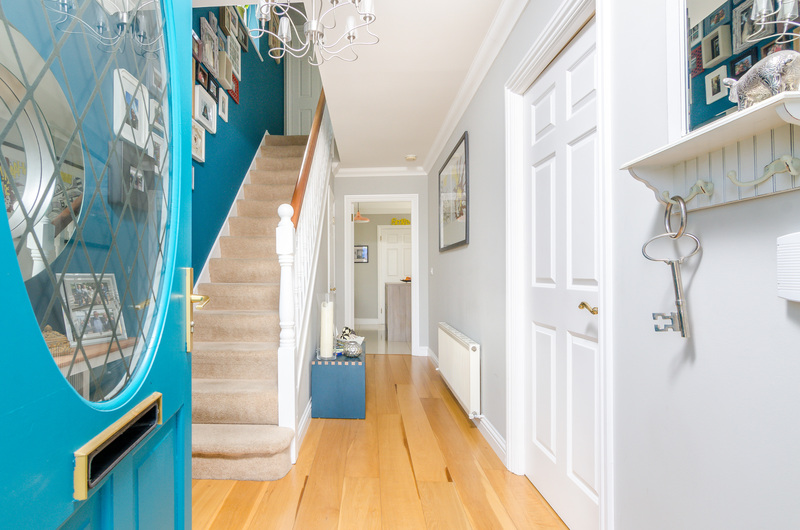 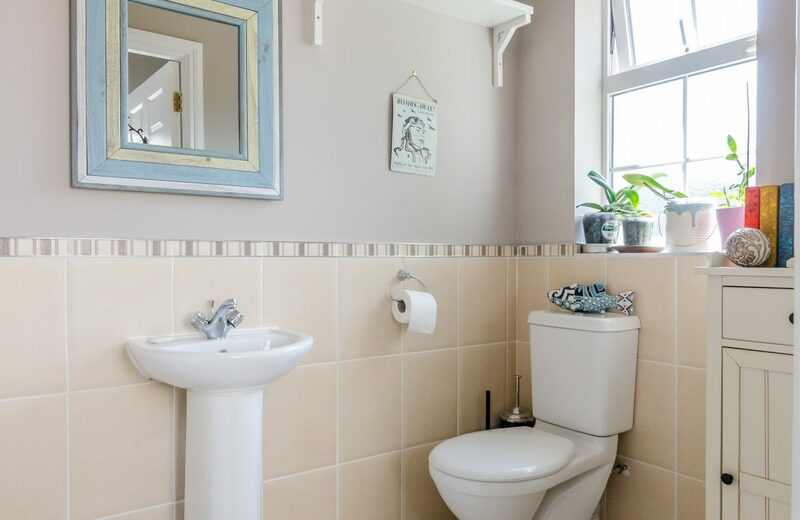 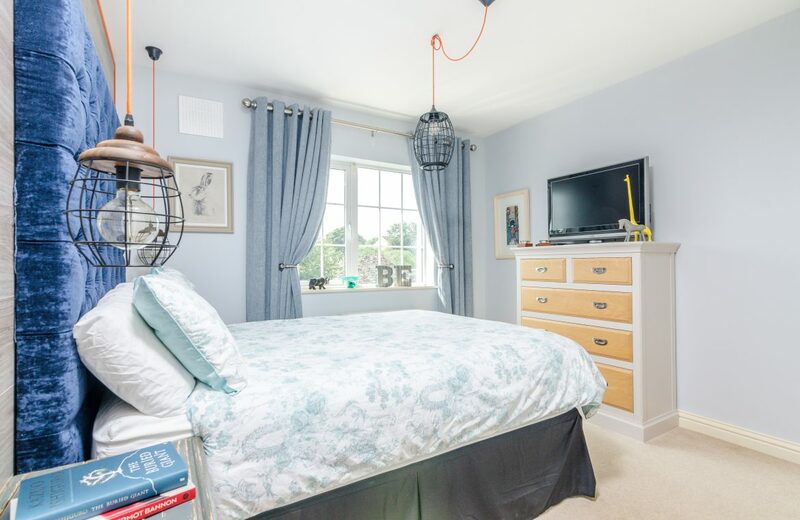 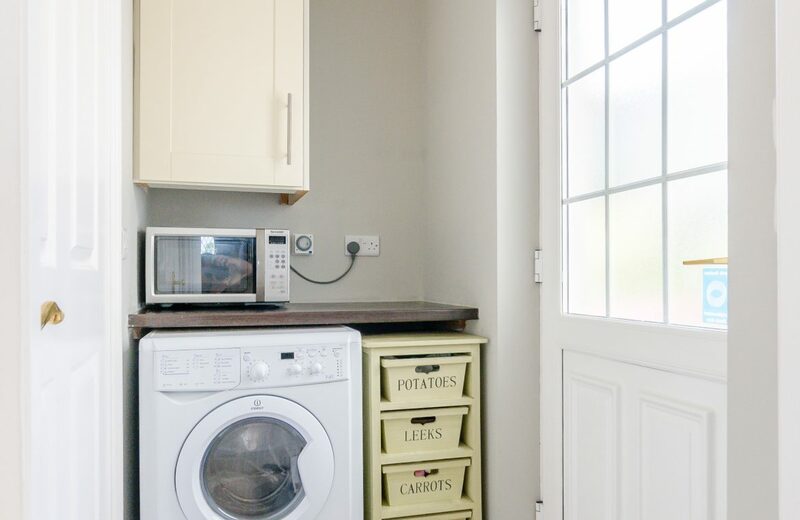 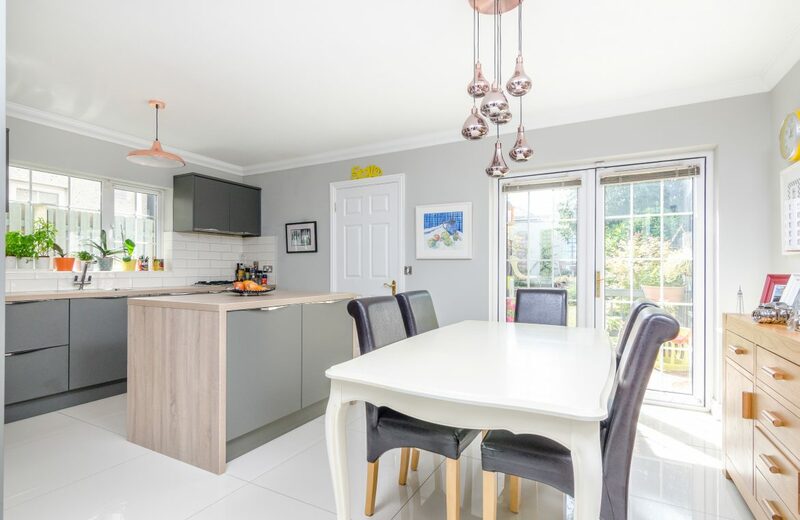 utility room and the large open plan kitchen come dining area with access to the wonderfully landscaped rear garden, the first floor consists of three bedrooms, one of which is ensuite and the main family bathroom. 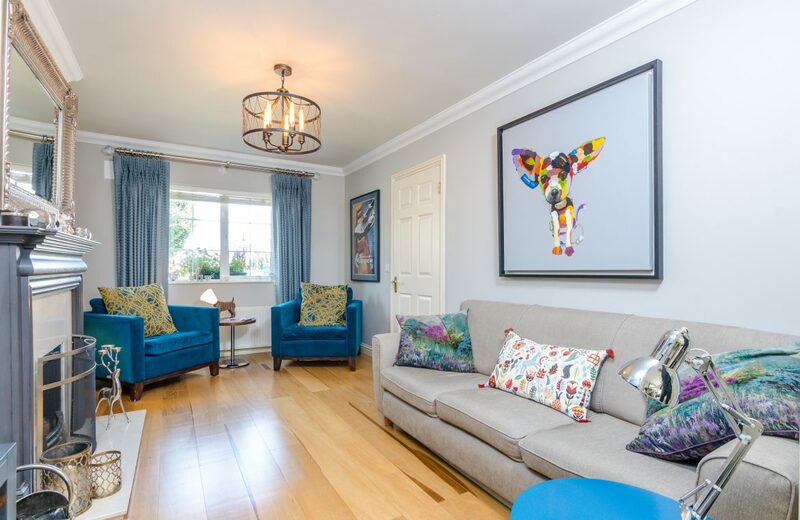 Furnished & presented in SHOW HOUSE CONDITION, an ideal opportunity for those expanding families looking for a beautiful home easily accessible to all amenities. 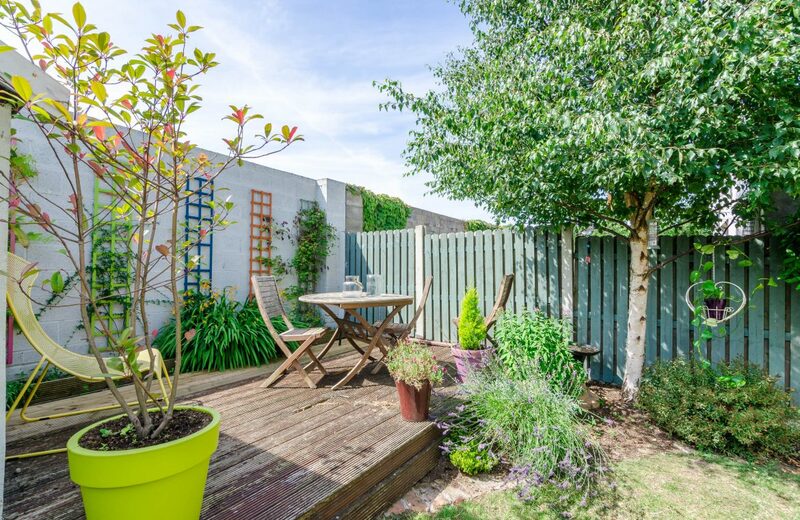 The large rear garden with a wonderful asset to the property. 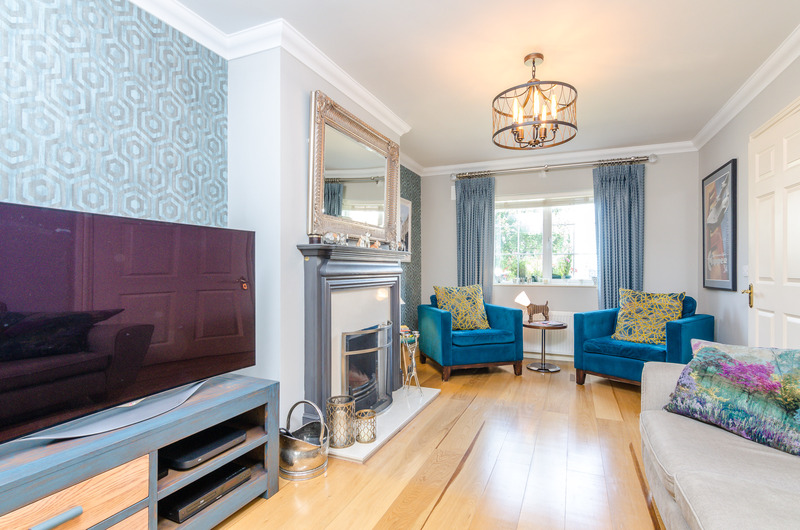 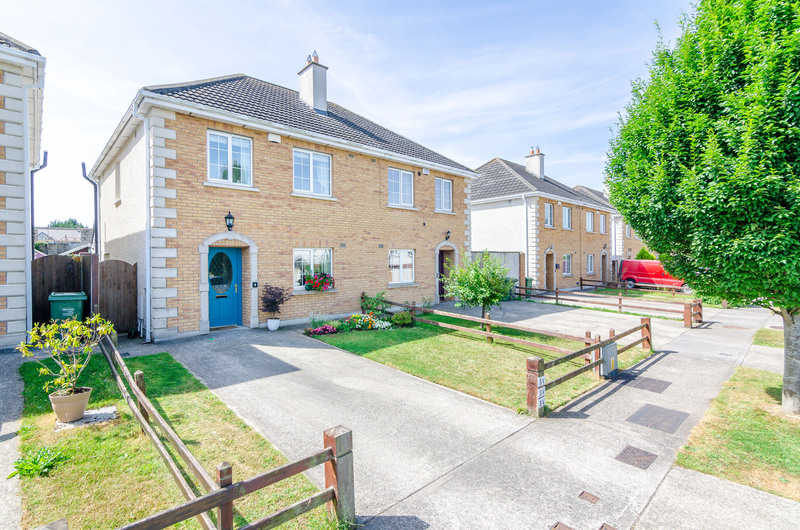 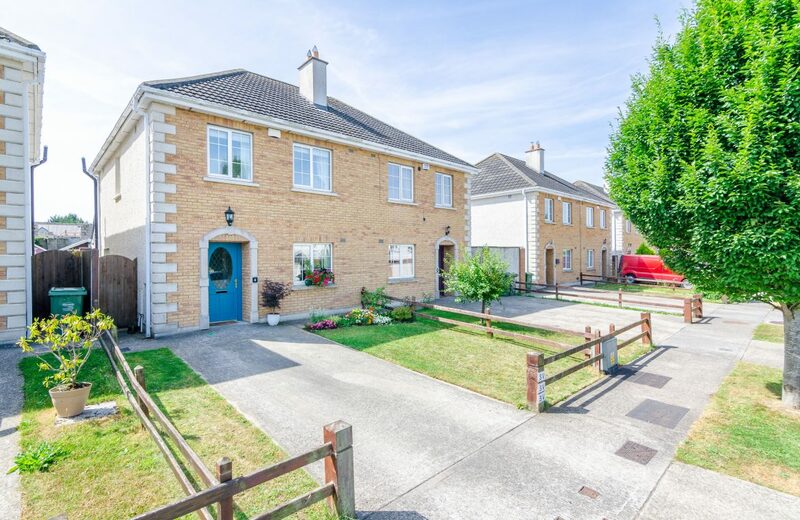 Suited in a very popular and well located development, in Newcastle Village, with Dublin bus providing an easy commute to Dublin City Centre. 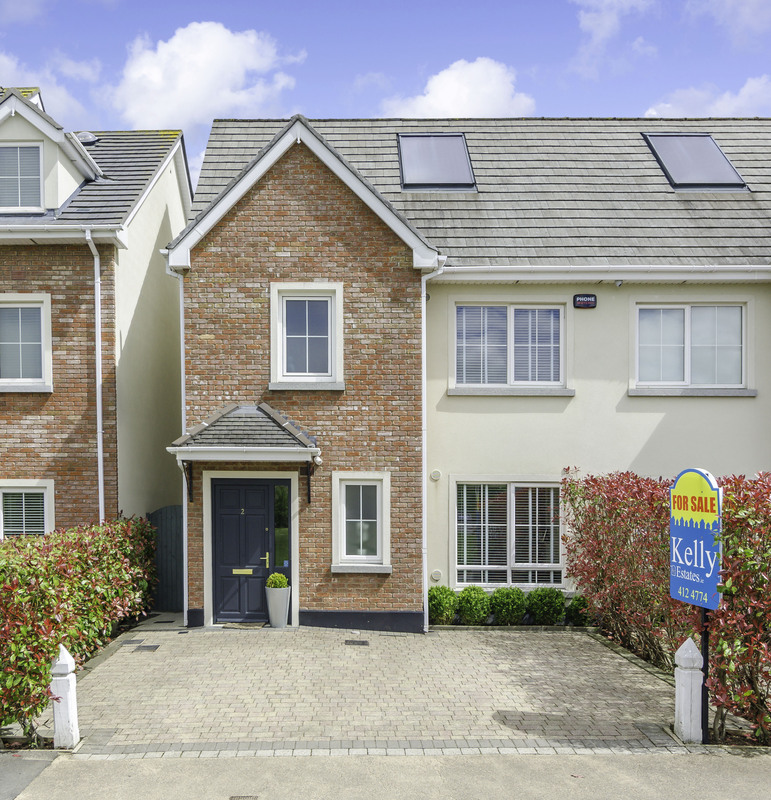 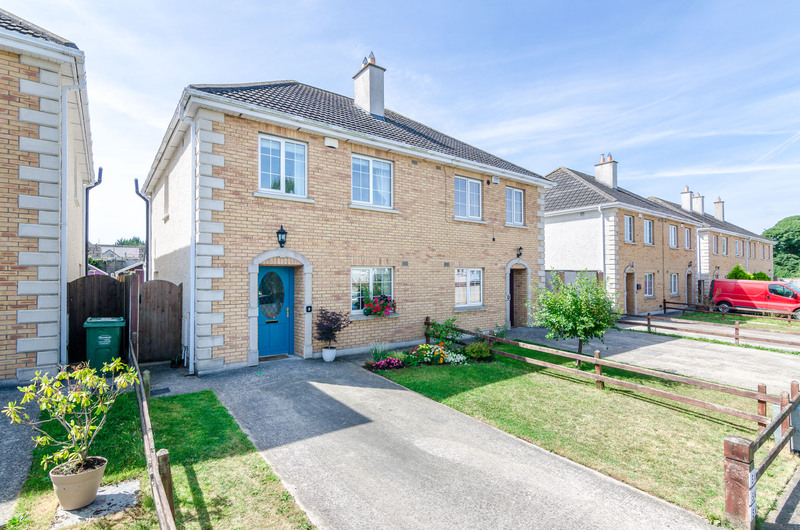 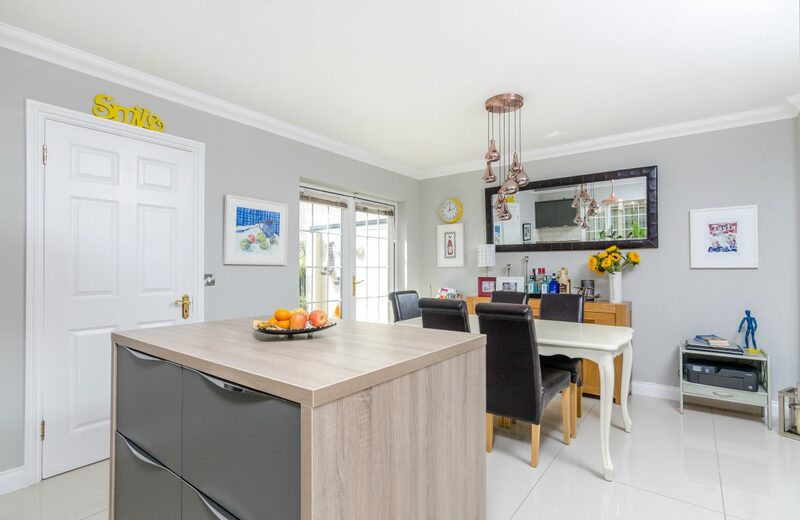 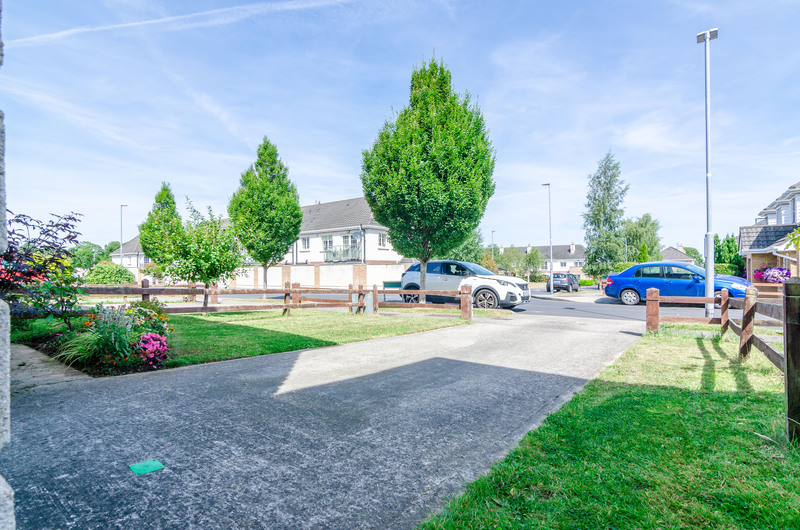 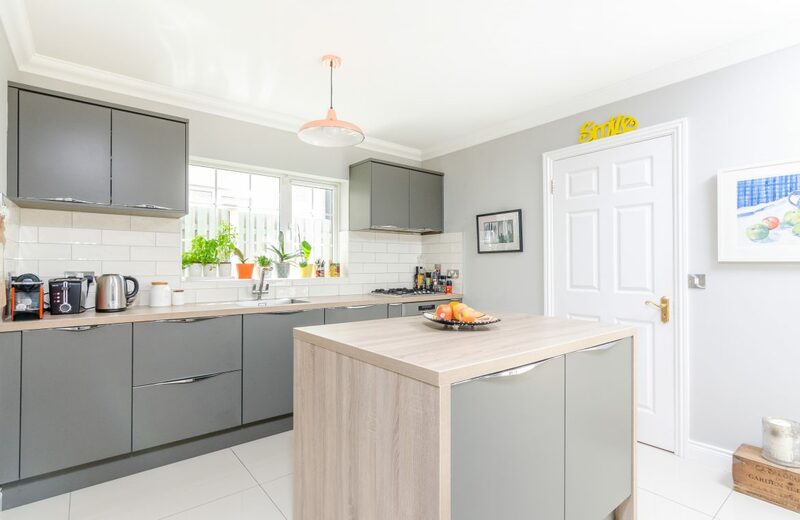 This wonderful home is within easy access to the N7 and M50 Motorway & surrounding areas, Shopping Centre’s such as Citywest Shopping Centre & Liffey Valley Shopping Centre are all close by, this wonderful property hosts an abundance of amenities just at your doorstep! Accommodation: Reception Hall: (2.05m x 5.10m) wooden flooring throughout with door to Living room: (4.95m x 3.20m) marble feature fireplace, large window overlooking front. 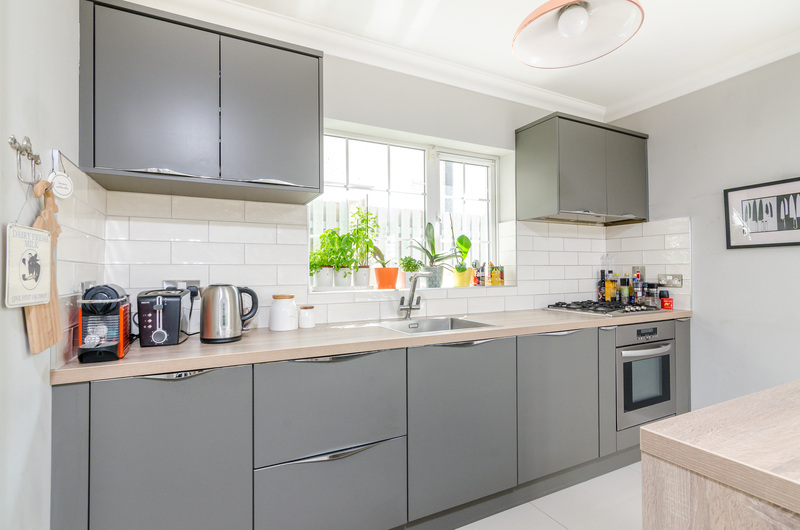 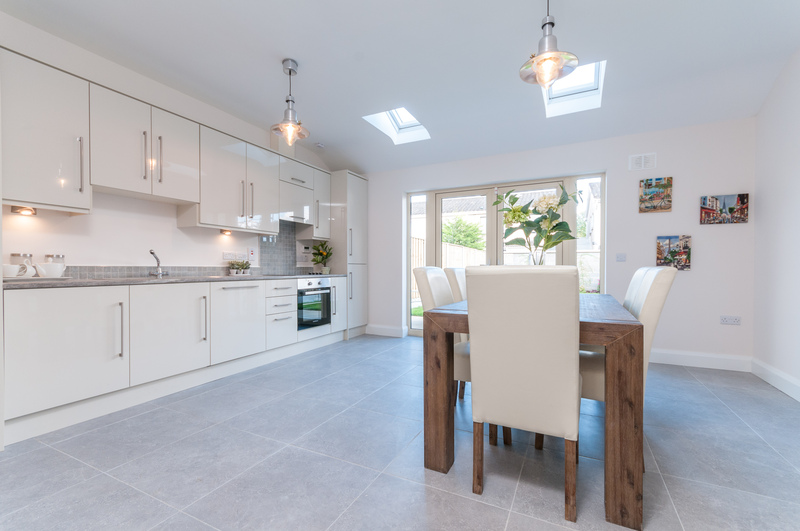 Kitchen/Dining area: (5.35m x 3.19m) with tiled floor, recessed lighting, fully fitted press units, drawers, saucepan drawers, stone worktops, stainless steel sink unit & window overlooking rear garden. 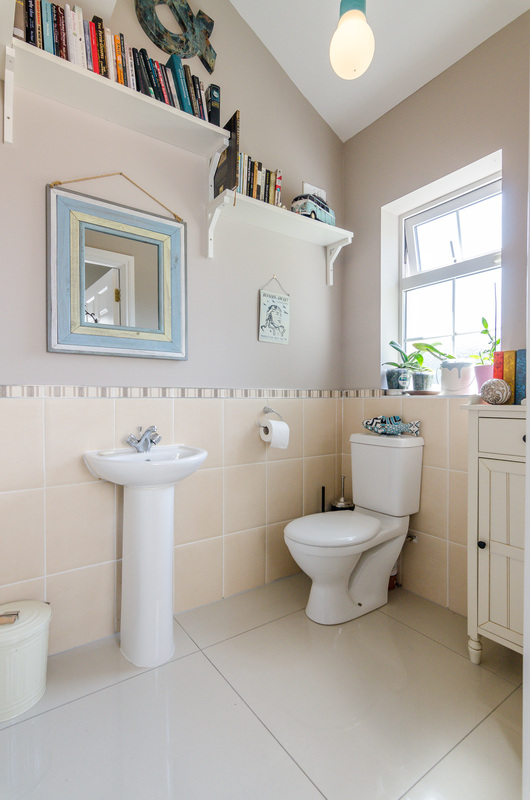 Utility: (1.09m x 1.91m) tiled floor door to rear. 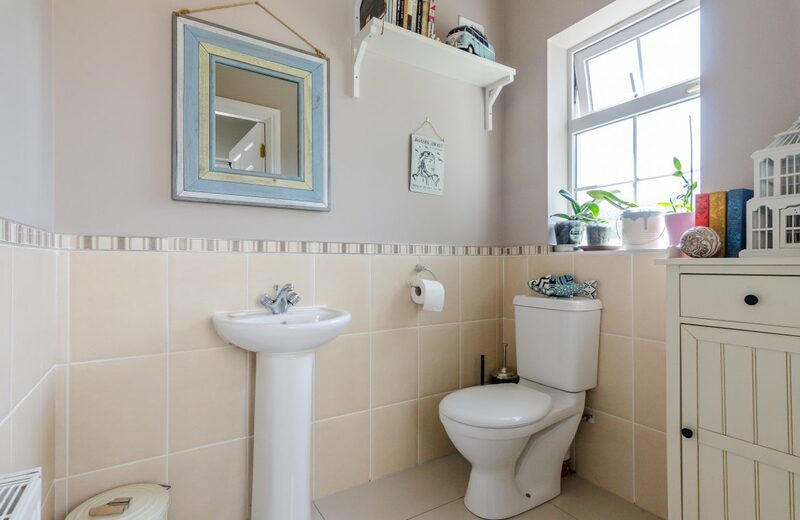 First Floor: Landing: (2.70m x 3.05m) carpet floor Bathroom: (2.00m x 2.50m) bath unit, w.c. wash hand basin, fully tiled floor. 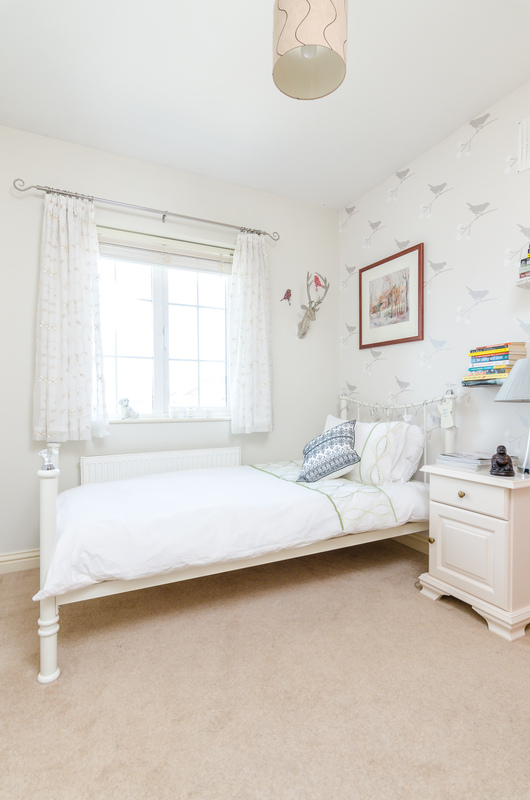 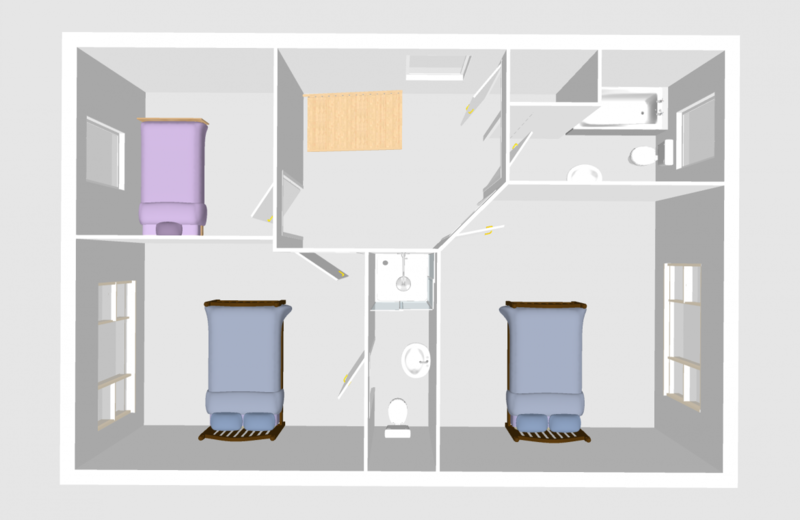 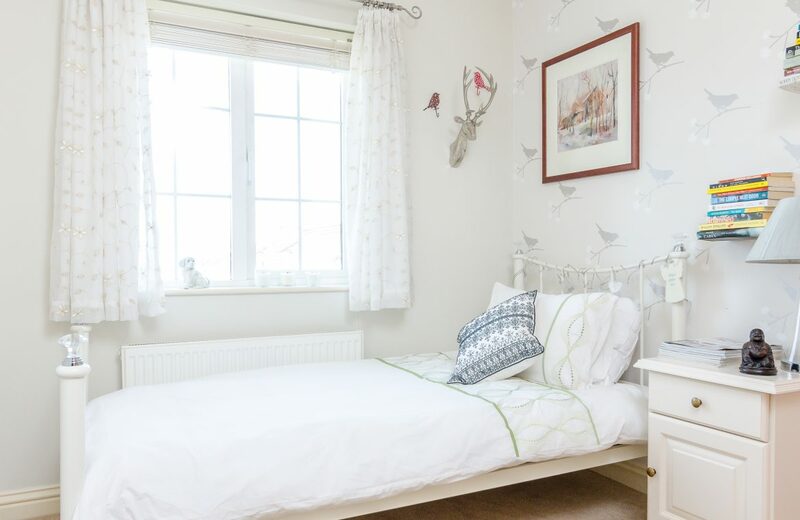 Bedroom 1: (3.47m x 3.25m) double bedroom with carpet floor & built in wardrobe. 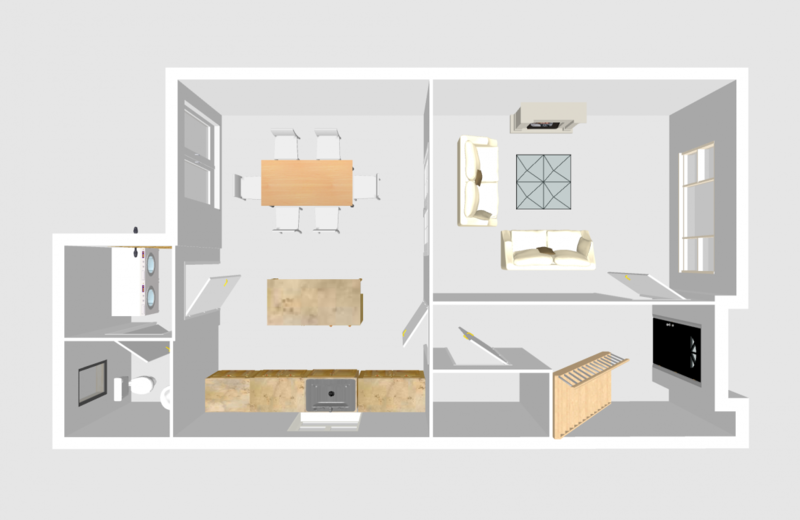 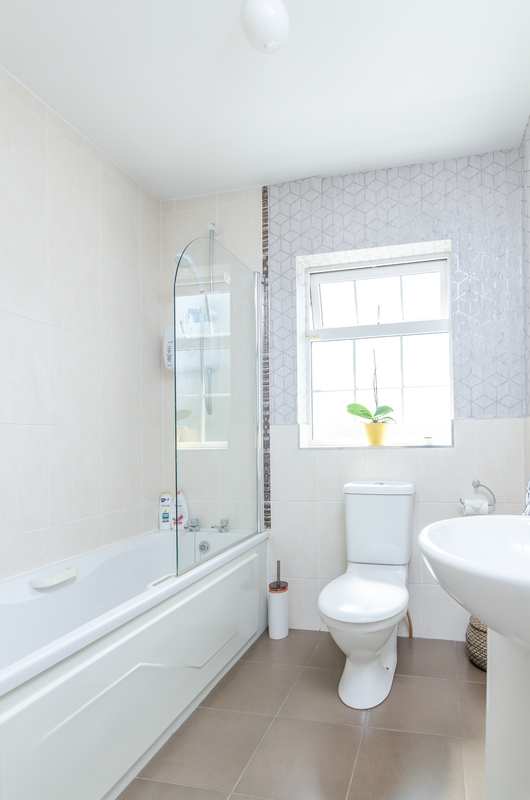 Ensuite: (2.57m x 9.5m) large shower cubicle, tiled walls and floors, wash hand basin. 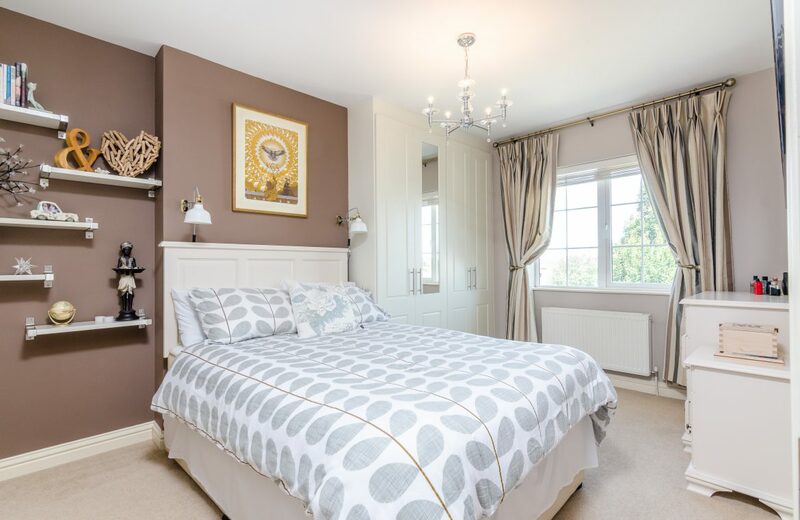 Bedroom 2:(4.11m x 2.95m) double bedroom with carpet floors. 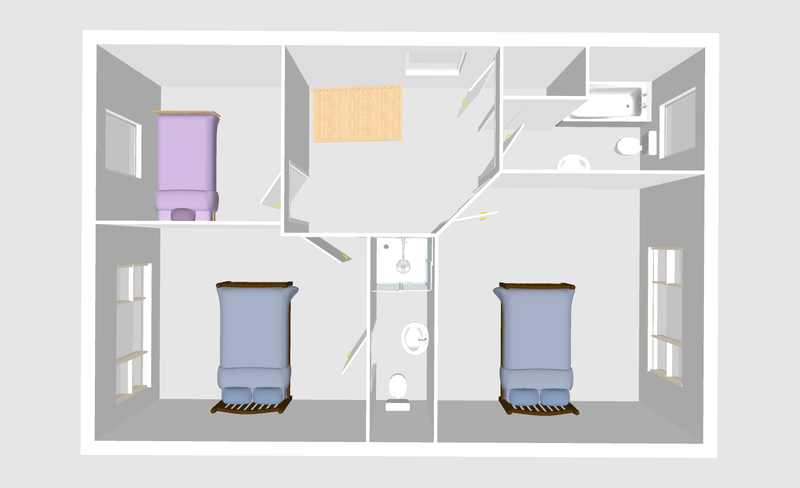 Bedroom 3: (2.35m x 3.15m) – single bedroom with carpet floor. 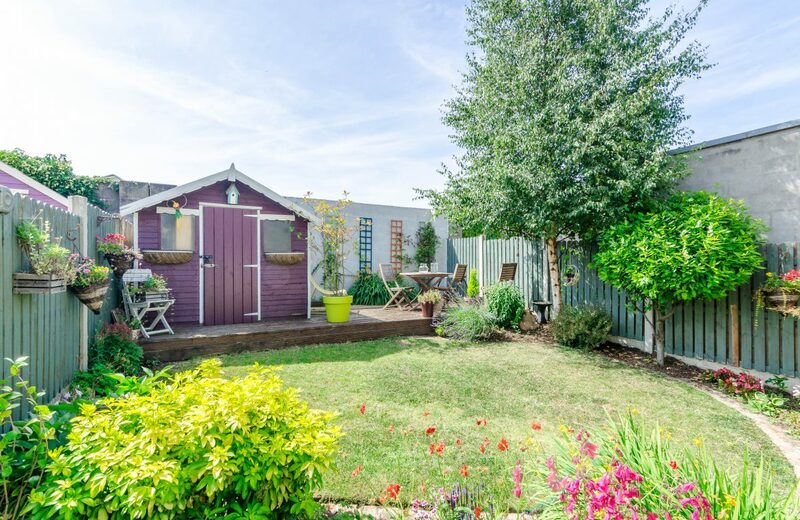 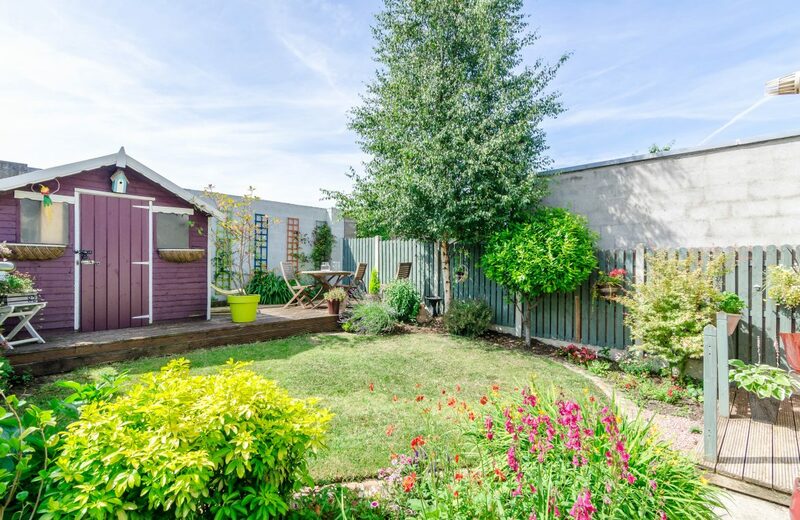 Rear Garden:The garden is a wonderful asset to the property – decking area, flower beds & fully fenced with side entrance. 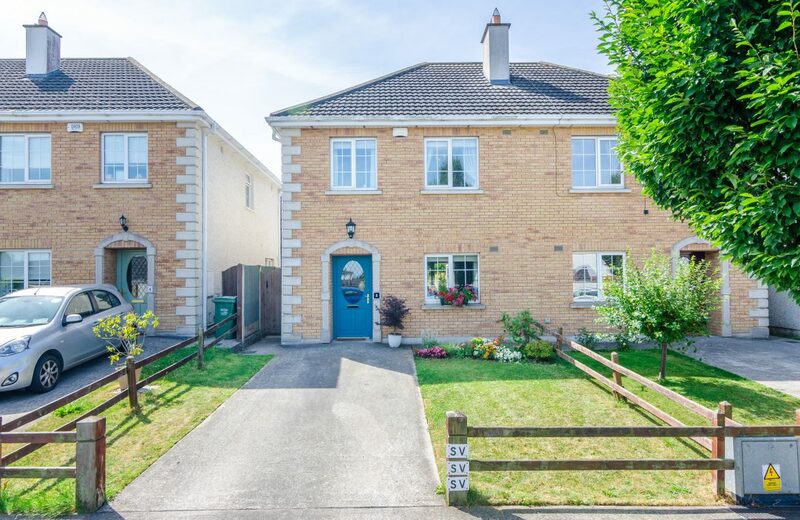 >> Superb home in excellent condition. 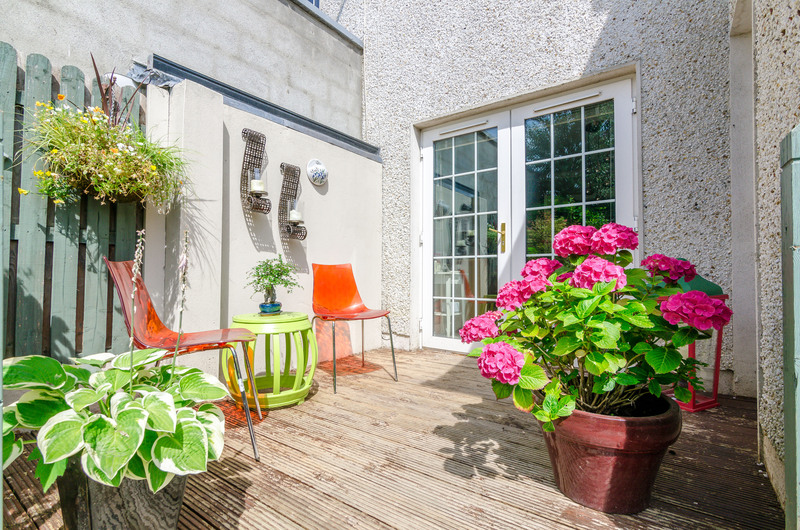 >> South facing rear garden. 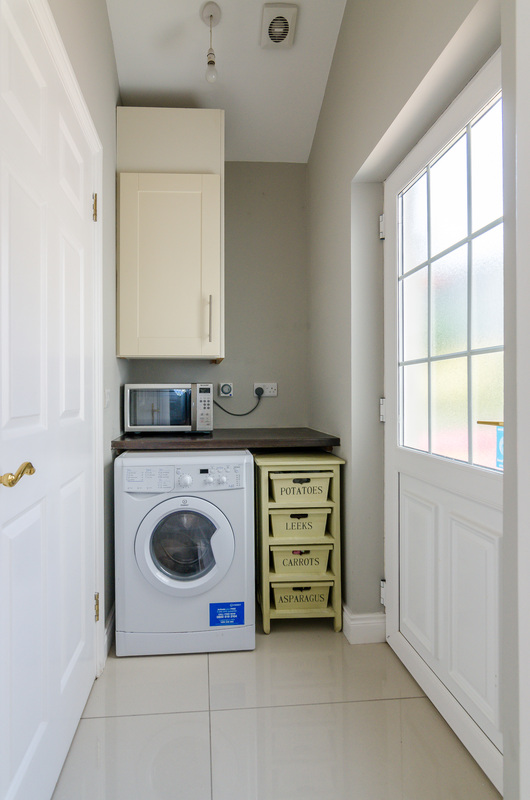 >> Newly fitted Falmac extractor fan. 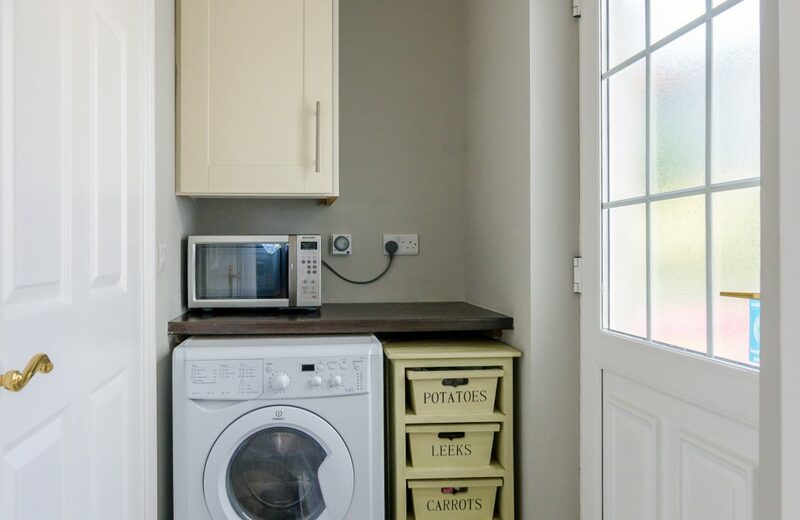 >> Built in appliances included. 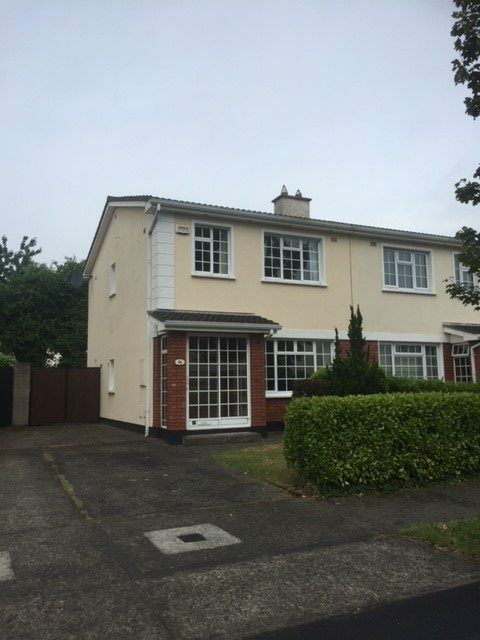 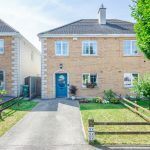 2 Peyton Court, Rathcoole, Co. Dublin.